When Mark Stone was acquired by the Golden Knights on Feb. 25, it impacted the entire team. But no one was more affected by bringing Stone into the fold than Alex Tuch. The 22-year-old from upstate New York was playing on the second line with Paul Stastny and Max Pacioretty. Since the trade, Tuch is now skating on Vegas’ third line with Cody Eakin and either Tomas Nosek, Brandon Pirri or Ryan Carpenter. He has gone about his business, working harder in the defensive end of the ice, fitting in with his new linemates, finishing his checks and forechecking hard. The second-year right wing has 49 points. 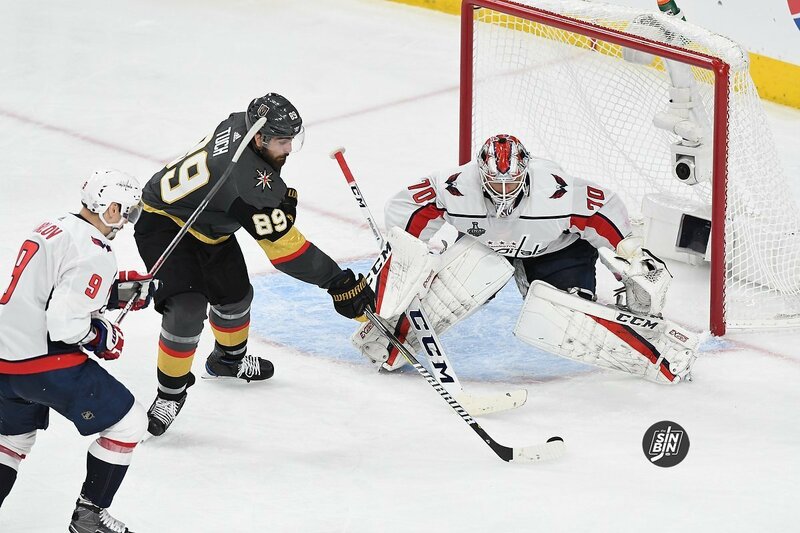 He has already surpassed last year’s totals of 15 goals and 22 assists with 19 goals and 30 assists after scoring the final goal in a 6-3 win Sunday over Edmonton at T-Mobile Arena. All of this bodes well for the upcoming playoffs, a brand of hockey that seems well-suited for Tuch’s game and skill set. There are 10 games left to the regular season. Whether or not Tuch wins the team scoring race should be secondary to the fact his game is really good at the moment and he can be expected to carry his solid play into the postseason. Max Pacioretty has been red-hot over the past two weeks. 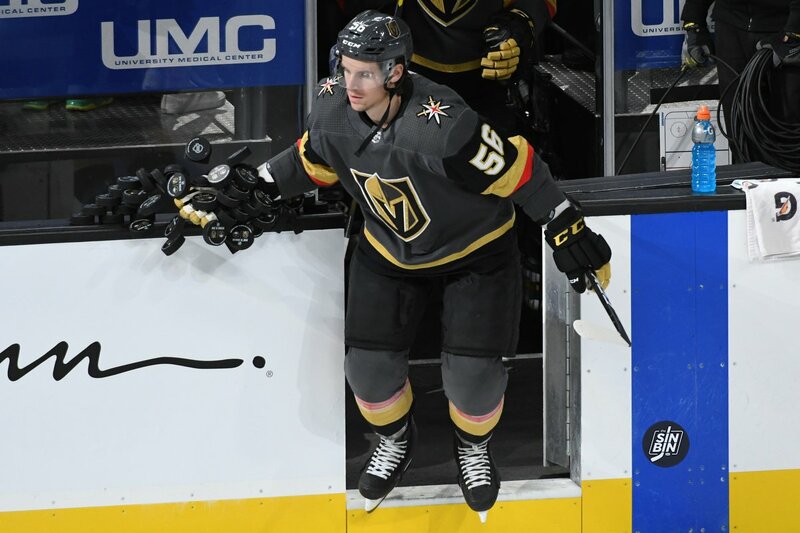 His seven-game point streak just concluded, he’s scored eight goals, and has tallied multiple points in three of the last four Golden Knights games. Finally, Pacioretty is breaking through and displaying the skills and production that was expected of him when he was acquired for Tomas Tatar, Nick Suzuki, and a 2nd round pick. Of course, Cody Eakin has had a positive impact on the line as well, but not nearly as much as Tuch. 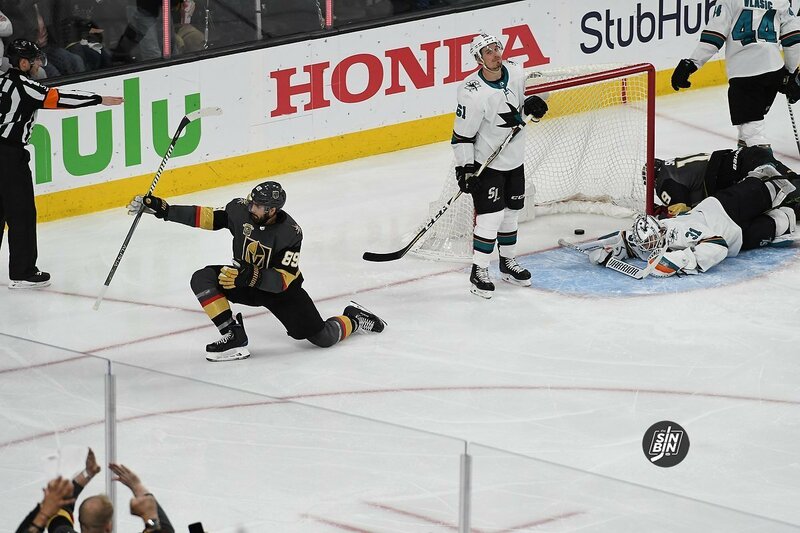 It’s a small sample, but in the 15:31 Pacioretty played with Eakin and not Tuch, the Golden Knights allowed two goals and didn’t score any. With the promising news we uncovered yesterday about Paul Stastny, the question that seems to be on everyone’s mind is the same. When he comes back, where does reigning Jack Adams award winning coach Gerard Gallant place him in the lineup when he’s ready to come back? It’s an age-old question in sports, should a player lose his position because of an injury? Keeping in mind how well his replacement is playing, in most cases, the answer is no. Injured center Paul Stastny was signed in the offseason to anchor a brand new second line, yet they haven’t played one shift together. Alex Tuch was to graduate to the top-six and play alongside Americans Stastny and Max Pacioretty. The three could’ve been dubbed the “Freedom” line, but unfortunately, injuries got in the way. 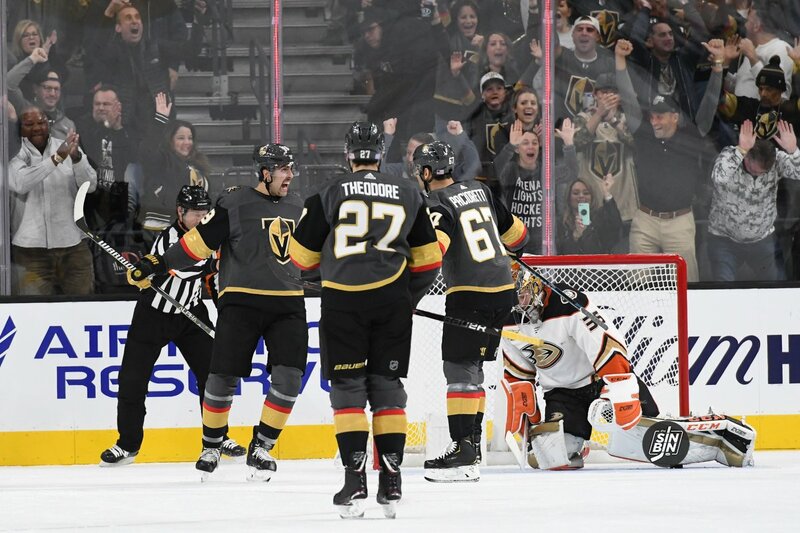 The Golden Knights stand at 29 points, and in the middle of the mess that is known as the Pacific Division. Since Stastny’s injury in Game 3 of the season, the team has played roughly .500 (13-12–1) hockey without him. However, the second line has been extremely effective as of late. Since bumping third line center Cody Eakin up in early November due to Erik Haula’s lower-body injury, the Eakin-Tuch-Pacioretty line has 35 points. The second line was arguably one of the biggest factors in Vegas’ late November five-game win streak. Tough to break-up, I get it. Eakin’s strong play brings us back to the organization’s vision for this season. He was expected to center the third line again, and make it more consistent than it was last season. That was GM George McPhee’s plan. And so was upgrading their second line center with a talented veteran like Stastny. Injuries essentially delayed the offseason remodel. Bottom line is, Stastny is valued by this team as their second line center. They paid him as such, and made a high-risk move trading for Pacioretty to compliment his play. 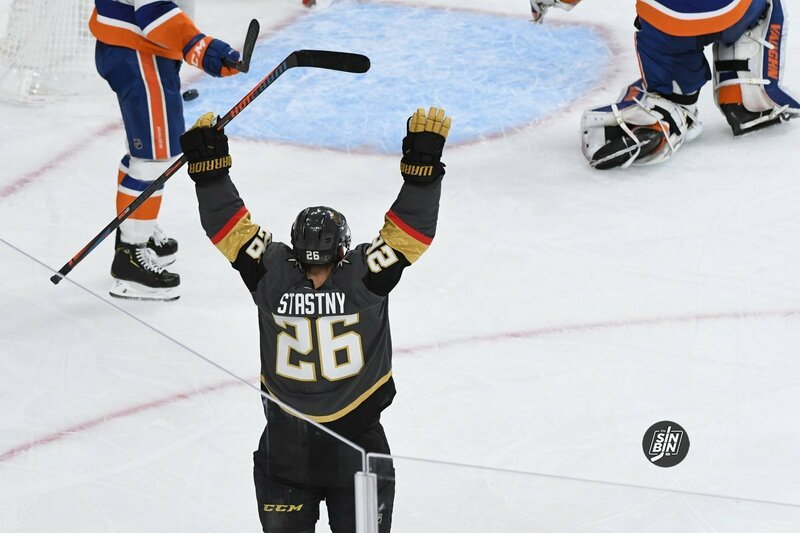 The connecting moves were projected to juice up team offense, and still could once Stastny is cleared to play. This was the team’s vision. They told us. 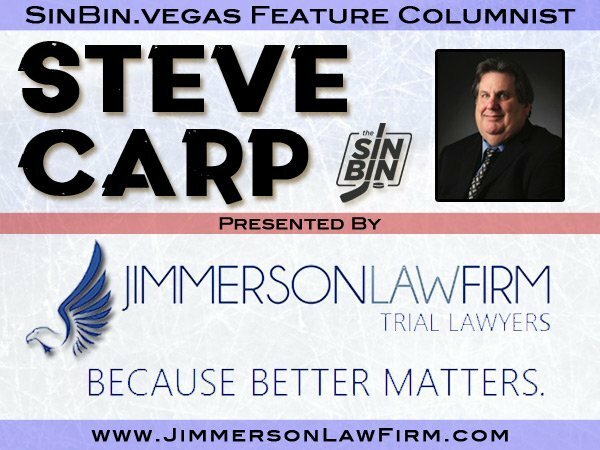 When the holiday season began, Vegas Golden Knights fans didn’t have much to be thankful for, or so it seemed. On Halloween, things were starting to get scary. 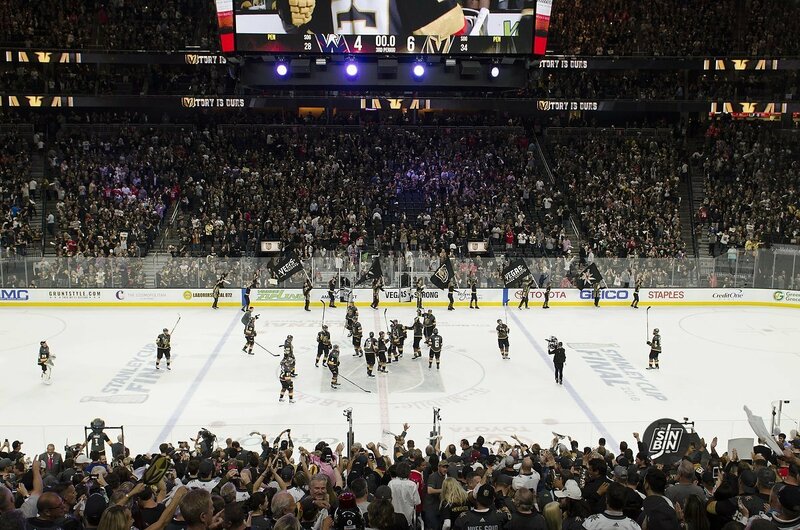 Vegas was 5-6-1, with only 11 points and five spots out of the playoffs. Early season trends were beginning to look like the worst could come true. Remember the panic on November 1st? And then came the East Coast trip that brutalized the Golden Knights. Vegas lost three of four on the road and came back home in seventh place in the division. Ken was losing his mind, many fans were on board with him, and legitimate concern was starting to creep in that maybe this team just isn’t that good. Things looked bleak. Up until the second line began to warm up. Injuries are a major part of hockey. Every team goes through them at various times and for various stretches of the season. For the Golden Knights, it’s come early and it’s come in the form of high-end forwards. Alex Tuch missed the first eight games of the year and Max Pacioretty missed four games at the end of October. 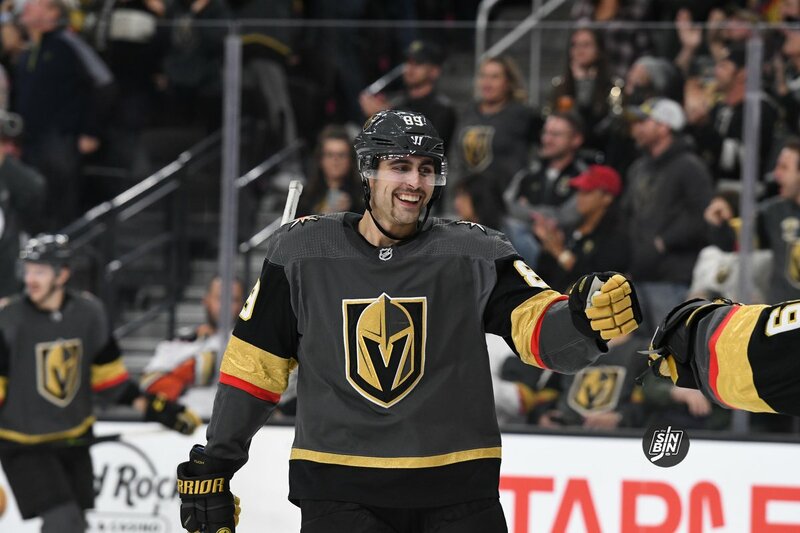 Both Pacioretty and Tuch have returned to the lineup, but the two guys they’ve played with on the Vegas second line haven’t been as fortunate. 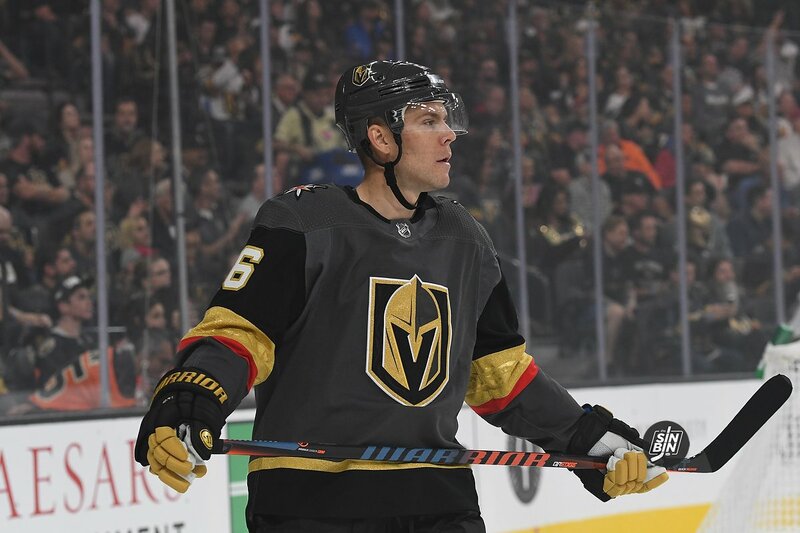 Paul Stastny went out in Game 3 and isn’t expected to return until late December at the earliest, and Erik Haula appears to be out for at least the balance of the calendar year. Then there’s the suspension which has kept Nate Schmidt out for the first 20 games of the season. 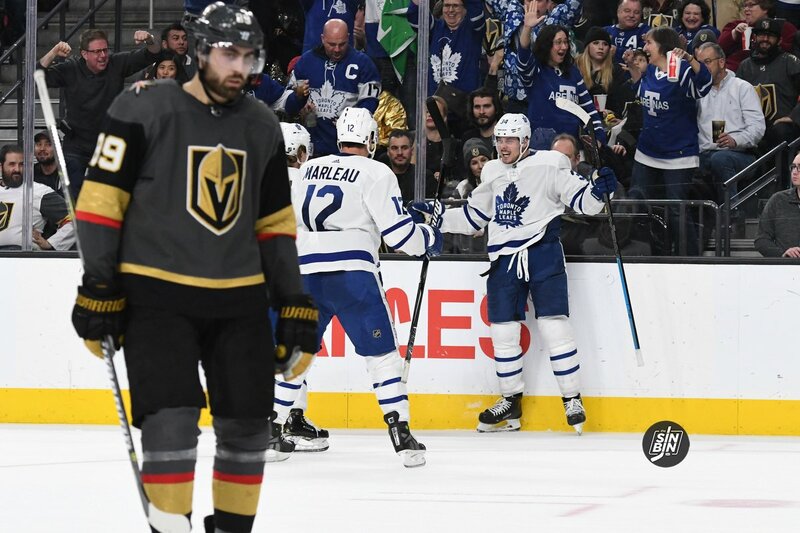 All in all, the Golden Knights have yet to play a game with anything resembling a full lineup, and the GM is frustrated. All in all, they’ve missed 39 games due to injury and 18 going on 20 due to suspension.